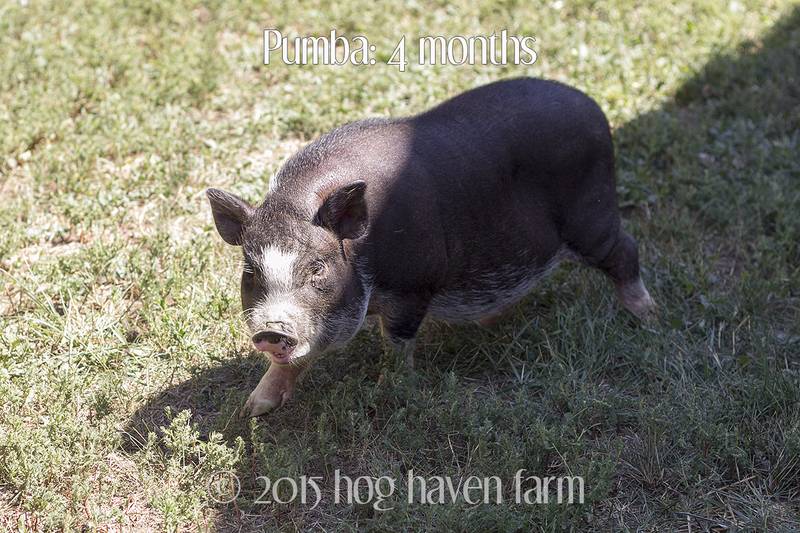 In August 2014, we rescued Pumba, a four-month old potbellied pig looking for some TLC and a good home. 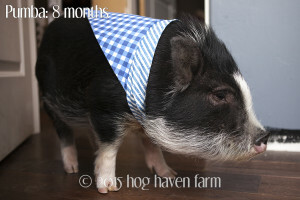 It was our intention to foster Pumba and find him a good match–but, he instantly bonded with us, and we decided to keep him! Pumba had been fed a poor diet, and in such case, was overweight with terribly dry skin and mange mites. 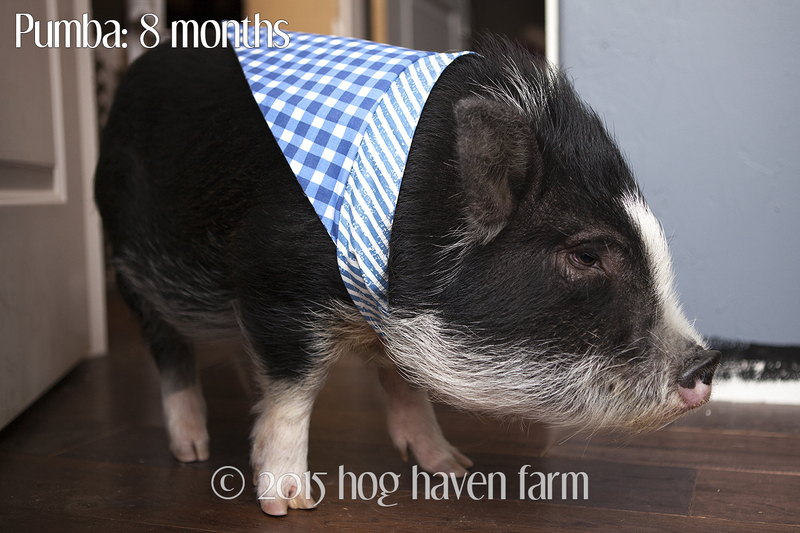 We switched him to a healthier diet, including pig chow and a supplement of vegetables, and gave him skin treatments with coconut oil. In addition, we provided him with an Ivomec treatment (a dewormer) that helped eliminate the mange. 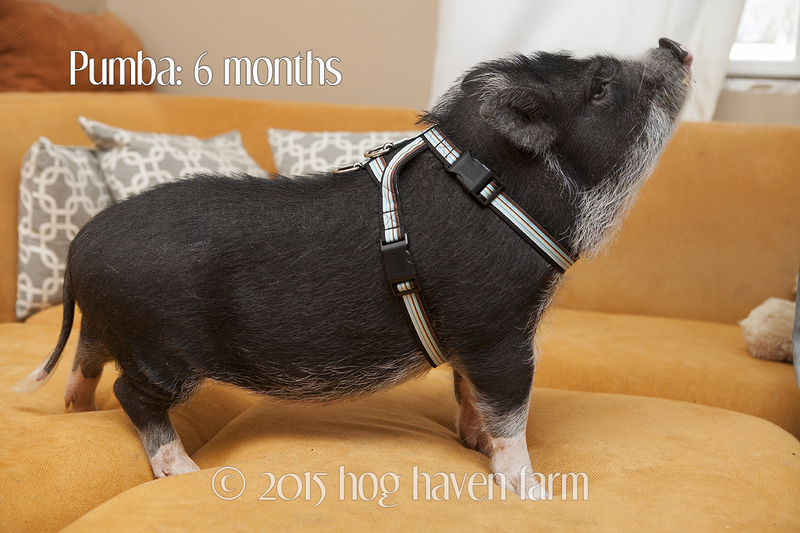 Check out Pumba’s pictures over the past few months–he’s looking way better, and he’s finally grown into his body! We absolutely love this guy, and must say that our first real rescue attempt was a success!